Mary Ellen Trainor (July 8, 1952 – May 20, 2015) was an American character actress best remembered as Dr. Stephanie Woods (an LAPD psychiatrist) in the Lethal Weapon films and as Irene Walsh (Mikey and Brand's mom) in The Goonies. She also appeared in numerous other well-known films including Romancing the Stone, The Monster Squad, Die Hard, Death Becomes Her, Forrest Gump, and Freaky Friday. Trainor was born in San Francisco, California. She attended San Diego State University, where she studied broadcast journalism. Trainor started her career working at radio stations KSDO as well as KCBS. Her first television appearance came in the 1983 Cheers episode "Father Knows Last", and her big-screen debut came the following year in Romancing the Stone. She frequently appeared in the films of Richard Donner and her ex-husband Robert Zemeckis. In addition to her film work she had recurring television roles as Judy Lewis in Parker Lewis Can't Lose (1989–91), as Eve Lukens in Relativity (1996–97), and as Diane Evans in Roswell (1999–2002). Trainor was married to director Robert Zemeckis for 20 years, with whom she had a son, Alexander. She was good friends with producer Kathleen Kennedy, who worked with Steven Spielberg extensively and served as President of Lucasfilm. Trainor introduced the two. Trainor died on May 20, 2015, at her home in Montecito, California, from complications of pancreatic cancer. ^ "Mary Ellen Trainor - California Birth Index". FamilySearch. Retrieved 9 June 2015. ^ a b c Dagan, Carmel (8 June 2015). "Mary Ellen Trainor Zemeckis Dead: 'Lethal Weapon' Actress Was 62". Variety. Retrieved 8 June 2015. ^ "Robert L Zemeckis mentioned in the record of Robert L Zemeckis and Maryelle Trainor". FamilySearch. Retrieved 9 June 2015. ^ "Alexander Francis Zemeckis - California Birth Index". FamilySearch. Retrieved 9 June 2015. ^ Masters, Kim (30 January 2013). "Lucasfilm's Kathleen Kennedy on 'Star Wars,' 'Lincoln' and Secret J.J. Abrams Meetings (Exclusive)". The Hollywood Reporter. Retrieved 9 June 2015. ^ Barnes, Mike (8 June 2015). "Mary Ellen Trainor, Actress in All Four 'Lethal Weapon' Films, Dies at 62". The Hollywood Reporter. Retrieved 9 June 2015. ^ Pedersen, Erik (9 June 2015). 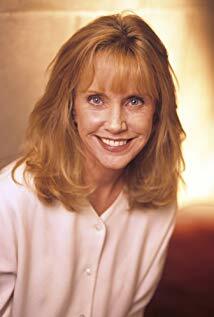 "Mary Ellen Trainor Dies: Actress In 'Lethal Weapon' Pics, 'Die Hard' & 'Goonies'". Deadline Hollywood. Retrieved 9 June 2015. This page is based on the Wikipedia article Mary Ellen Trainor; it is used under the Creative Commons Attribution-ShareAlike 3.0 Unported License (CC-BY-SA). You may redistribute it, verbatim or modified, providing that you comply with the terms of the CC-BY-SA.